Jack’s been hibernating but Spring is (almost) in the air! Actually, Jack’s been pretty tied-up with some stubborn car crime cases but is keen to get more active with new blog entries and even a tweet or two! Jack’s classic car interests are wide-ranging, not just Gordon Keebles and Lagondas. He in fact has a soft spot for air-cooled VW’s and Porsches. 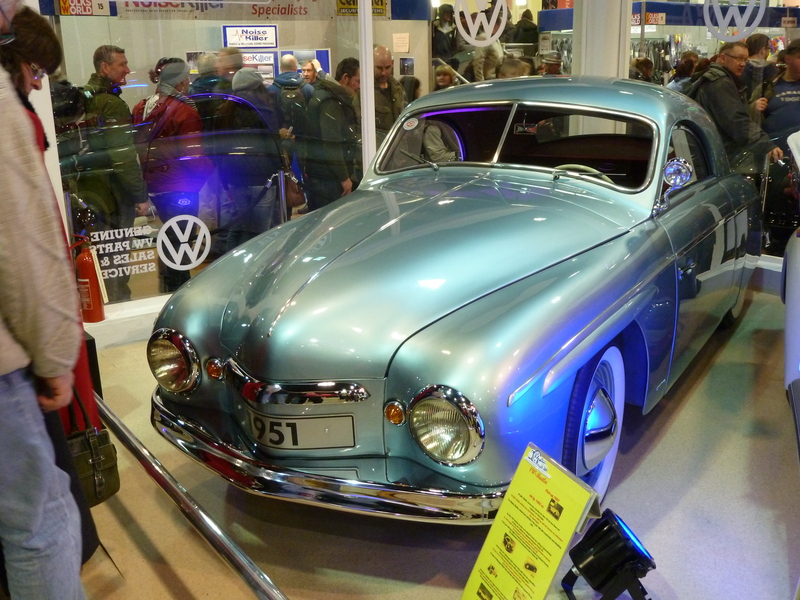 So a few days ago Jack visited the annual VolksWorld show at Sandown Park, Esher. This is a very big show with literally thousands of VW enthusiasts attending. Campers, buses, beetles, bajas, Karmann Ghias are all 0n display, including some rare VW coach-built examples from the 1950s. One of these, a 1951 Rometsch Beeskow coupé (only two known to exist today), is pictured below. Other news is that Jack’s latest exploits appear on 28 March in the form of ‘Classic Mistake’, published by Severn House. With the advent of Spring, Jack will be out and about much more so – stay tuned!